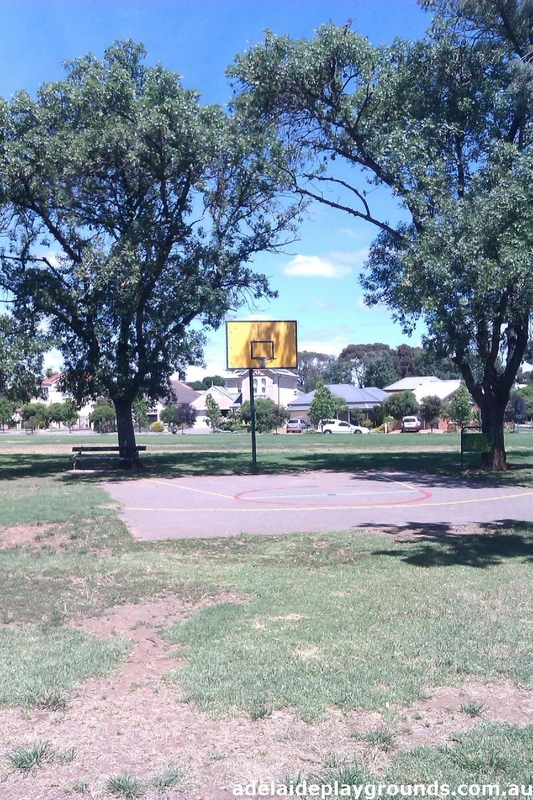 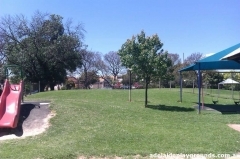 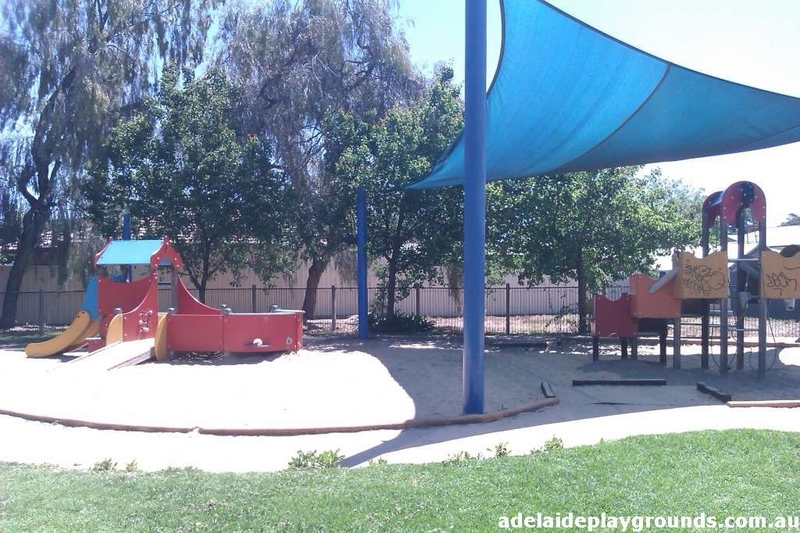 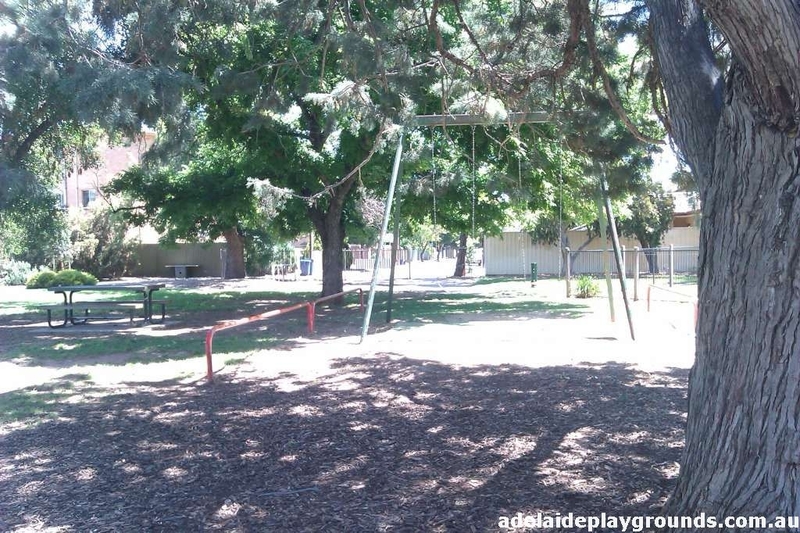 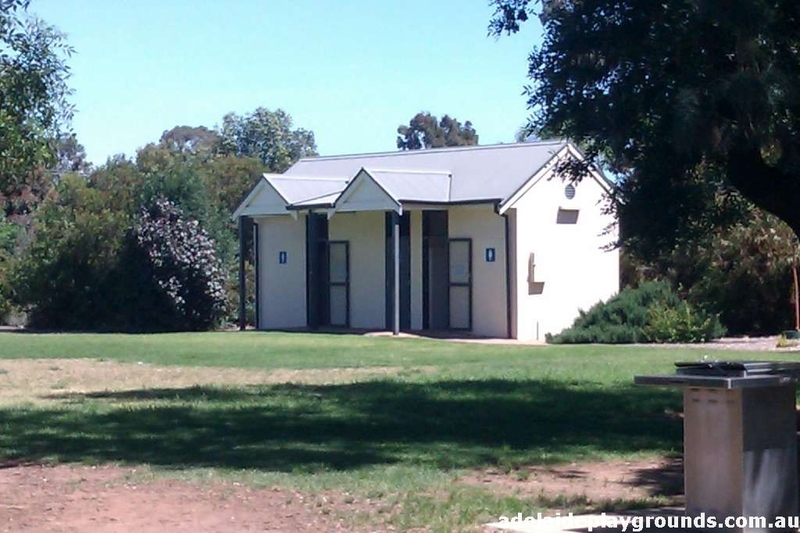 Big grassy reserve with a fully fenced play area within it. 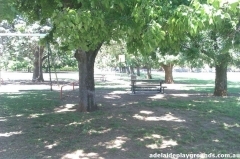 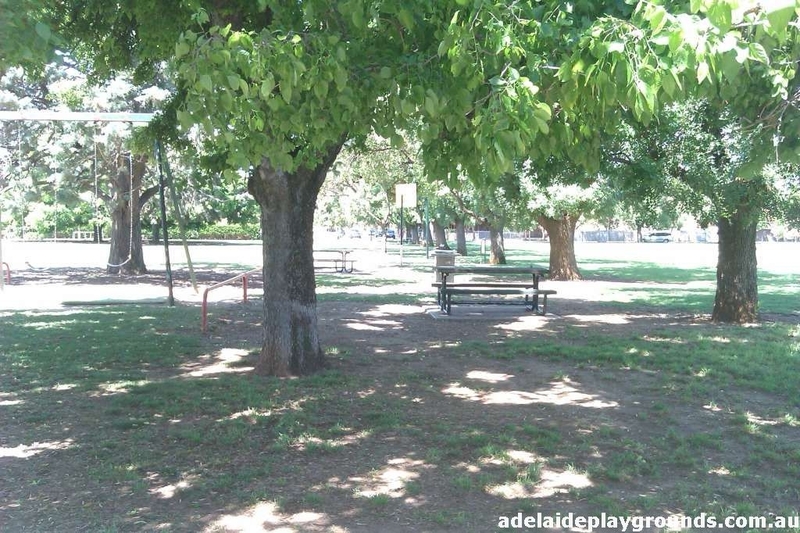 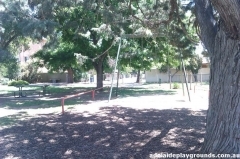 Not a lot of play equipment, but plenty of shady spots to have a picnic and lots of grass to kick a ball. There is a basketball ring too if you want to shoot hoops. 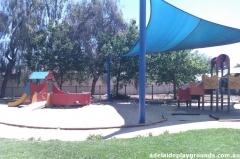 This park is normally shaded, but some of the sails were broken and graffiti on the play equipment let the cleanliness of the playground down.